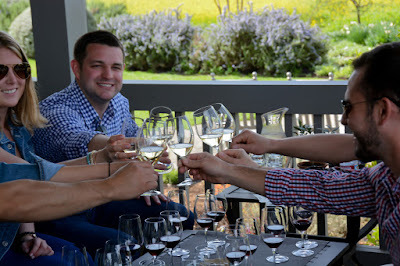 Bliss Wine Tours is pleased to offer top quality service at a competitive rate. 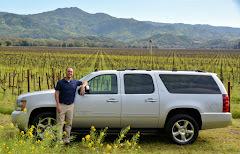 For groups larger than 7, please call/text me at 707-812-8646 or email at damon@blisswinetours.com. The tour starts at the scheduled pickup time and ends when you are dropped off. It is billed in 15 minute increments. There is no different overtime rate, the hourly rate is the same no matter how many hours your tour lasts. Tours are given in my Suburban LTZ and include bottled water & snacks. At the end of the tour I offer a 5% discount for cash payments or accept all major credit cards. Please call 707-812-8646 for other pickup locations. Gratuities are at the customer's discretion and are greatly appreciated. For tour groups of 6 or more and/or multi-day tours, a 20% gratuity will be added. If you do not think you received top notch service, I will refund the 20% gratuity. Tasting fees are the responsibility of the guest and average from $30-$50 per person. The fees are usually waived with a minimum purchase (2-6 bottles) and/or wine club signup, varying per winery. Some wineries require a credit card to make the reservation. A credit card is required at the time of booking the wine tour to hold the tour date & use for any winery appointments. If a wine tour is cancelled within 3 days of the tour date, your credit card will be charged a $100 cancellation fee. Bliss Wine Tours. Simple theme. Powered by Blogger.